Summary: A stun-gun malfunction prompted police to fatally shoot a pit bull-mix that had gotten loose. Officers shot the dog after it acted aggressively toward people walking along the street, then turned on the officers who were trying to corral it. 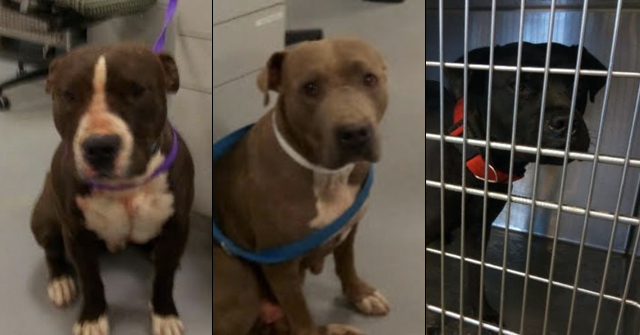 Summary: Two pit bulls are dead and their owners are behind bars after authorities tried to catch a pair of alleged robbers, and now detectives are connecting the dots to a pit bull attack that happened almost a month ago. Summary: After a family pit bull violently attacked a 6-year old girl, and ended up killing her, the dog turned on the babysitter and attacked her too. Neighbor Troy Danforth heard the screaming and rushed next door with .38 caliber handgun and shot the offending dog. Summary: Elgin police say they had no choice but to shoot an attacking pit bull outside of the dog owner's Elgin home. Officers were called to the area by a woman claiming her neighbor's pit bull was attacking her Siberian husky. Summary: According to a police spokesperson, "The dog was biting the second victim’s hand while violently shaking his head from side to side. Sgt. Cove exited his police vehicle and shot the dog twice in the chest to stop its attack of the second victim." Summary: In a protocol that seems to be gaining strength, police shot and killed a pit bull with a shotgun after it attacked a child. The child's injuries and condition were not immediately known, but a resident in the area said the child was bitten in the leg. Summary: Charles and Karen Barr were driving home from a family's house when they saw the 15-year old girl under attack. Charles said the girl's legs were mangled. He shot and killed the dog. The owners of the dog stayed in the house while the dog shredded the girl in the front yard. The owners were fined $150. 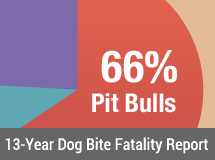 Summary: The day after Mayer Fahey piddled the "pit bull" regulation down from a ban to a muzzle law, an Omaha police officer shot and killed a pit bull after it bit him. The officer had been responding to gunshots in the area. Summary: Officers shot and killed an aggressive pit bull that had escaped its fenced yard. 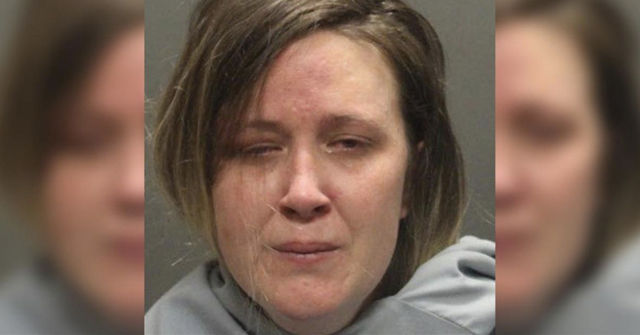 Police were told that the dog had bitten a small boy and then prevented the woman who called police from going inside her home. Summary: The narcotics unit and critical incident response team (CIRT) were refused entry to the house at which time CIRT members forced the door open and were attacked by a large pit bull dog. Members shot and killed the dog. 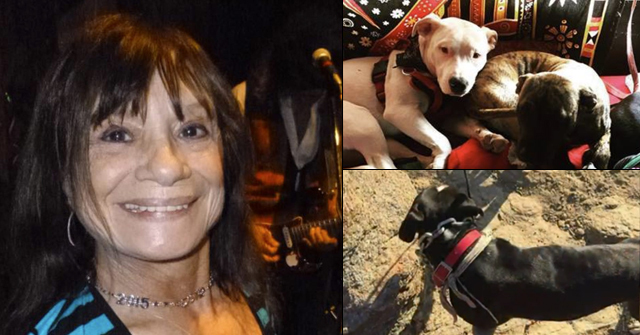 Summary: Police shot and killed one pit bull and captured another after the dogs severely attacked a woman, then attacked the man who tried to help her. Fire Chief Randy Mortland said, "I think those dogs would have killed her if he hadn't been there to help." A busy week is an understatement. 2 per day…and a sea of red tape for police departments! The pit bull which killed the 6 year old girl in Alaska had to be shot to release the baby sitter. The total should be 240. Here is a great editorial on why BC, Canada should ban pit bulls…. “Imagine a company seeking government approval to sell a newly invented vehicle. Call it the explocar. The explocar is like a normal car in all ways except one: Sometimes, it explodes without warning, injuring people nearby. A few customers nonetheless prefer the explocar to a normal car. They like how it looks, and find the danger exciting. Should the government approve the explocar for sale? Of course not. The pleasure of driving the explocar doesn’t make up for the danger it poses. This thinking underlies many of our product safety laws.